Five Star Painting provides interior and exterior painting and accompanying services. We are a customer service business first - dedicated to providing you with a great painting experience. Your satisfaction is our # 1 goal. Local hands-on owner, Dan Schaeffer, is one of your points of contact throughout the project. You’ll also have a dedicated project manager to supervise and respond to questions and concerns. Bonded, Insured, and EPA Lead Certified (RRP), we offer a two year workmanship warranty, full time professionally-trained painters, fair and competitive pricing, and hundreds of local references. Free detailed, written estimates by appointment. Family owned and operated, we specialize in both interior and exterior residential painting. We’ve built a large clientele in the Austin and surrounding areas, primarily through referrals and repeat customers. These customer relationships are our top priority. We offer start-to-finish solutions for every project. Matchless Interior Painting is a highly rated painting contractor in Austin, TX. Celebrating our 10 year anniversary this year, we are proud of our customer-focused service. Unmatched quality, fair pricing and listening to our customers is what sets us apart from our competitors. We offer a variety of interior painting services and have the tools to overcome all obstacles. The experience and knowledge of our team is among the best in the industry today. Matchless Interior Painting specializes in interior painting. We also offer drywall/texture repair, popcorn/wallpaper removal, carpentry repairs and other home maintenance services. We enjoy meeting new people, exceeding their expectations every day, and hopefully becoming the source for future services. We love transforming your space into a work of art. Let Matchless Matchless Interior Painting assist you with your next project. Give us a call at (512) 580-8691 or click the "Contact Me" button to send us a message. We look forward to working with you. 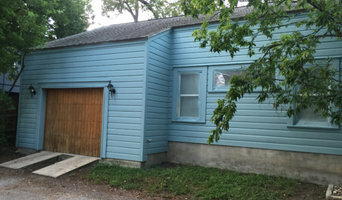 When it comes time to repaint the exterior or interior of your home, trust CertaPro Painters of Austin, TX as the best house painting company in the surrounding area. With every painting project, CertaPro Painters of Austin is committed to providing the highest quality work and professional service in the Austin area. House painting or commercial painting, we're dedicated to the process of certainty - of a job well done. 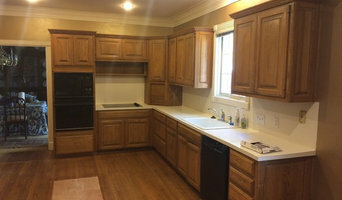 Whatever your needs, big or small, CertaPro Painters of Austin will provide you professional quality painting services and an experience you'll be thrilled with. That's our promise, that's Certainty. Free paint with any project! 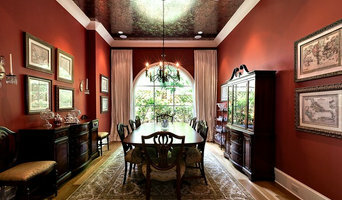 At Painter1 of Austin, we believe that painting is not just about applying new paint to a substrate. We believe that paint really does have a powerful impact on our mood, perception and emotional response. Whether we’re painting the inside of a house to make it a warm, vibrant home or reinvigorating the outside walls of a business to attract new clients, Painter1 of Austin is here to help! Get a professional painting quote from our Austin location today! At Painter1 of Austin we are able to recognize the unique and different challenges that come with painting your home and our years of experience guarantee we will get the job done right, done in a timely manner, and done on budget! With every paint job completed by Painter1 of Austin, we are committed to giving you quality results. We make sure our entire team is bonded, insured and licensed. Kolor Pros Painting provides Free Estimates, and Personal Consultations for Residential Interior and Exterior Painting, and Commercial Interior and Exterior Painting, and more! Receive your Proposal the same day and get an emailed presentation. Professional, Personal Service with Courtesy and communication throughout. That's why we are the best professional painting company in Round Rock, Austin, and the surrounding area! Fresh Coat of Schertz is a veteran-owned company that is professionalizing the painting industry. We specialize in residential & commercial interior & exterior painting. We also do deck and fence staining, cabinet painting, and can take care of any interior or exterior repairs. We are a customer service focused company that is on-time every time and dedicated to high quality workmanship. Our motto is "Painting Done Right!" Tex Painting is the premier Austin painting contractor. With over 15 years in the painting industry in both residential and commercial painting; we have built our business based upon experience, quality craftsmanship, attention to detail and an old-world work ethic. Our goal is your goal; 100% customer satisfaction and we take that commitment to you very seriously. Every day we strive to do what we say we are going to do. We provide extensive training for each of our professional painters; we include a written guarantee on every job. 360 Painting is a fully licensed and insured residential painting company providing fine interior and exterior painting services throughout the Austin area. We are professional craftsmen and women with an eye for detail and extensive experience in new work and historic building restoration. We are especially proud that the majority of our work comes as repeat business, direct referral from our long-time satisfied customers, and recommendations from online reviews. We know that the true foundation of client relationships is trust. At 360 Painting Austin we strive to earn your trust and will work closely with you to transform your vision into a vibrant reality. We have built our reputation by listening to our customers and helping them to realize their desired outcomes. Your house is your most valuable asset, and you’ve worked hard to turn it into a home. For interior and exterior painting, our quality work and excellent service are what set us apart. Our job is never finished until you are completely satisfied with the results. We’re backed by the experience that comes from successfully completing more than 7,000 projects. Our veteran owned business prides itself on customer service and measure our success based on your satisfaction. We use only the finest quality paints from Sherwin-Williams and Benjamin Moore to ensure every room has the perfect finish. We invite you to experience the 360 Painting Austin difference for yourself. We are a small local business out of Round Rock, Texas. Having over ten years of experience has allowed us to open doors to so many new projects and people. We love what we do and hope you do too! As a consumer, you should always feel comfortable with the company you choose to paint for you. We value the quality of our work and always have our customer with the best interest in mind. Renovate Paint & Design offers a wide range of full-scope painting and remodeling services for the interior and exterior of residential and commercial properties. We customize our projects to meet your needs. With over 28 years experience, our painters, carpenters, and installers, consistently deliver quality services. We offer our services for a great value through the combination of superior materials used and experienced workmanship. We are committed to providing an unprecedented level of service with the utmost attention to detail. Our commitment to excellence can be asserted through our high ratings. We have received the Super Service Award 2-years running (2015-2016) from Angie's List, have a 5-star rating on Yelp and Demand Force, and are rated an A+ with the Better Business Bureau. In addition, 94% of our customers testify that they would recommend us and use RPD again. We truly love and serve our customers. We are not only here to paint and renovate your home or business to meet your dream expectations, but to bring the ”respect” into a respectable company. We offer honest and reliable estimates, and we like to think we do it right. But, don’t just take our word for it--our customers give us rave reviews! We are The Interior and Exterior Painting Experts! Southern Painting has been in business since 1989, offering high quality interior and exterior paint services to the most discriminating customer. With Southern Painting, you get a team of professionals who provide up front, complete and accurate estimates; we’ll work quickly and carefully and will listen and respond to your concerns and issues. Our local managers and support staff are in place to ensure that the job goes as planned. Bonded and insured, our paint is lead-safe, our work is warrantied and we offer free estimates. Provide quality residential interior and exterior painting services. From house painting, to deck staining, to wallpaper removal, Fresh Coat offers a wide range of painting and painting-related services. Your team of professional painters will approach every job with service in mind, working every project as if it were theirs. You can even call us for commercial and office spaces, and since they'll offer healthy options, your painters will have you back to work in no time. You'll get quality and service at a price you can afford.